The purpose of training needs assessment is to monitor the performance of the employees in the company which trainings and seminars that they are needed to attend to are related. The training assessment will determine whether an employee have to undergo a training to improve their growth and work performance. Having a Sample Assessment Templates is helpful for the company to keep track on their employees easily and make necessary actions that are good for them. 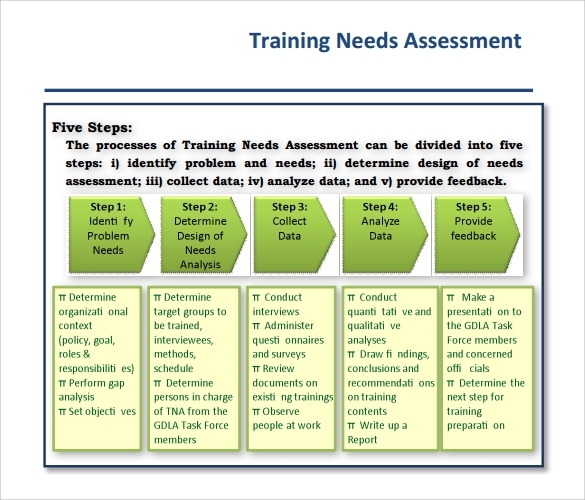 A training needs assessment template can be found and accessible in the website. There are being provided for this template which will help us understand the details included on it. These samples are free to download making it convenient for the company to provide the assessment to their respective employees. 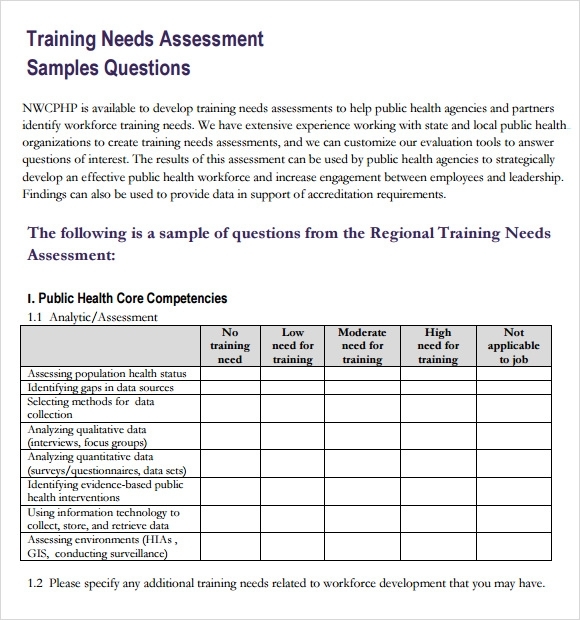 This template has a number of assorted questions to develop the training needs assessments. At the beginning a brief overview of the training needs assessments are given, followed by a number of sample questions for analytics such as assessment of population of health status etc. 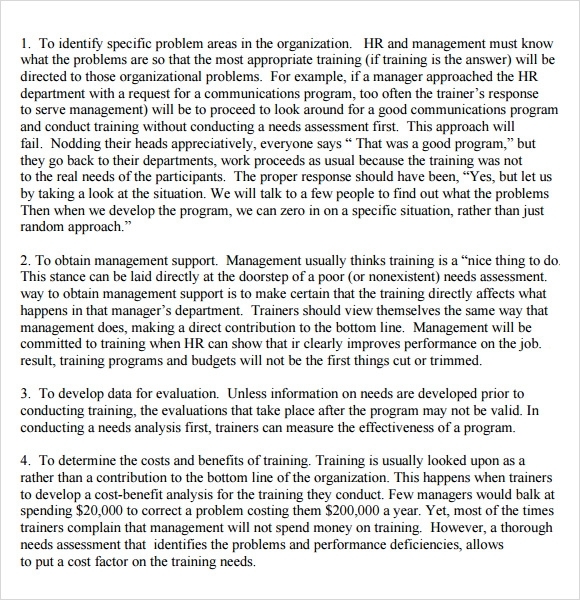 This sample gives an insight on the need and relevance of training needs assessments. 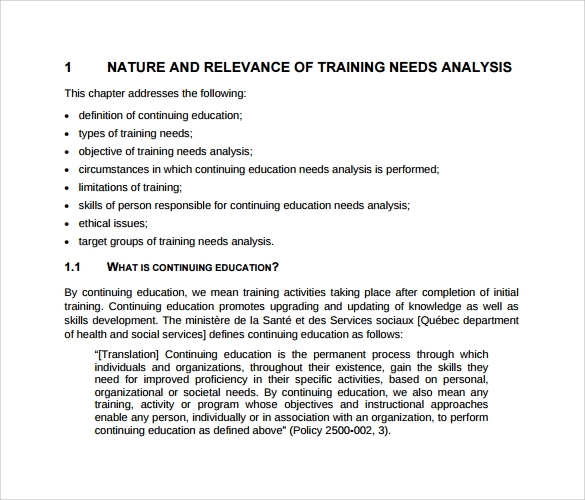 The template begins with a brief outline of the chapter, and moves on to the discussion of the meaning of the continuing education along with definitions. 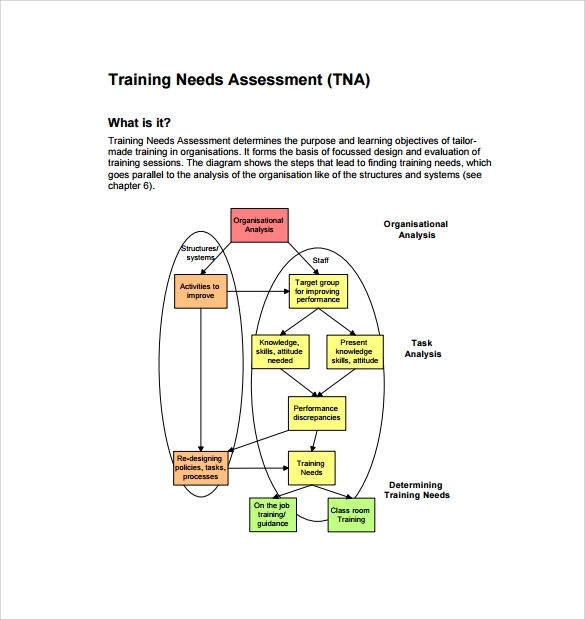 This is a free template on training needs assessment, and it discusses the aims of the system of training need assessment in brief bullet points. 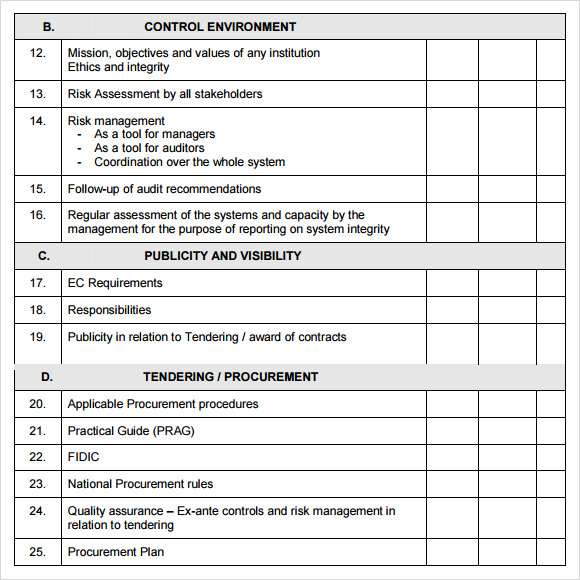 This is a template quite useful for those who are learning the training needs assessment. What Are The Objectives Of Training Needs Assessment? Each company has a number of employees performing for specific goals. For the benefit of the company it is important to monitor the performance of each and every employee of the company. 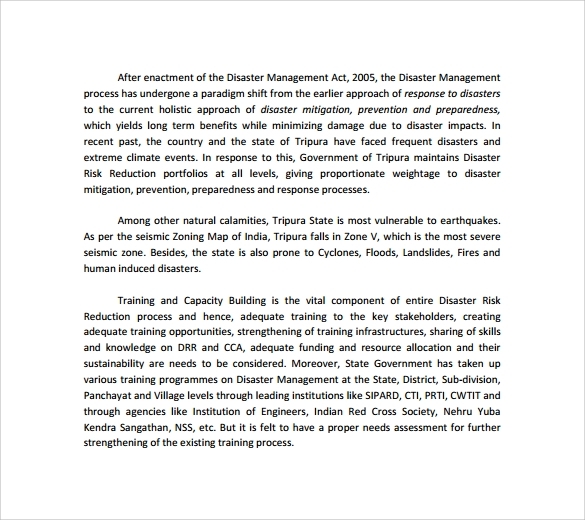 The aim of the training needs assessment is to monitor these performances. Assessment of the training needs determine if a specific employee needs to undergo any type of training in order to perform better. It also points out the areas in which the performance of the employee is lacking and suggests improvement based on these Needs Assessments. The main objective therefore is to help to determine if the employees need training. What Are The Usages Of Training Need Assessment Templates? The training need assessment is useful for evaluating the performances of the staff in the company. It helps one identify the areas of a company which needs improvement. This is a technical process and therefore requires a technical knowhow to prepare training need assessment data. This data is quite valuable for the company, since it identifies the defects and suggests training accordingly. Thus, it is a good idea, to use some of the tried and tested templates found on the internet for training need assessment. Some of the templates are also useful for a better understanding of the system in question. What Are The Benefits Of Training Needs Assessments? Training need assessment is a process of data collection and analysis which can help in the growth of an employee’s performance, thereby helping the company in the long run. Each company expects the very best performance from each of its employees. However, at times it may be found that not everyone could work to their fullest, and as a result the company’s performance suffers. This problem is not easy to solve, and this is where the training needs assessment comes handy, as it can identify the source of the problem. It is also beneficial for appraisal of the performance of the employees.